The tables have turned at Torchwood†¦ this time, Andy is the Torchwood assessor (if he survives) and Norton is under the microscope. Can both survive an alien visitation and London gangsters together? The latest Torchwood monthly release is out today. Torchwood – Goodbye Piccadilly is out now. Is 1950s Soho ready for the combined might of Torchwood and Sgt Andy Davidson? Writer of this tale and producer of Torchwood, James Goss, told us more, "In Ghost Mission Norton Folgate came from the 1950s to modern Torchwood. This time Sergeant Andy finds himself plunged into Norton's seedy post-war Soho - they're both on the run, someone has been stealing alien weapons, and there's trouble in store from a portrait of an alien which kills people. "We did it purely to re-unite Tom Price and Samuel Barnett, because they were such amazing fun last time around. Look out for a grippingly evil turn from Lucy Sheen (Call the Midwife) as Fat Kim, some oilyness from the boss of Torchwood One (Liam Hourican - Jacob Rees-Mogg in Tracey Ulman's Show), and Wilf Scolding (Rhaegar Targaryen in Game of Thrones) as Alejandro alongside Samuel Barnett (Dirk Gently) and Tom Price (Magic FM)." You can pick up Torchwood: Goodbye Piccadilly for £7.99 on download or £9.99 on CD – don’t forget that all CD purchases unlock a download option from the Big Finish website and on the Big Finish app. Or you can also save money with a Torchwood bundle. Purchase stories 19–24 together for just £55 on CD or £45 on download. Coming up next in the Torchwood range: Toshiko Sato was always known as the brains of the operation. But when she finds herself facing off against the powerful psychic minds of others, can she save Cardiff? Torchwood: Instant Karma is out in July. 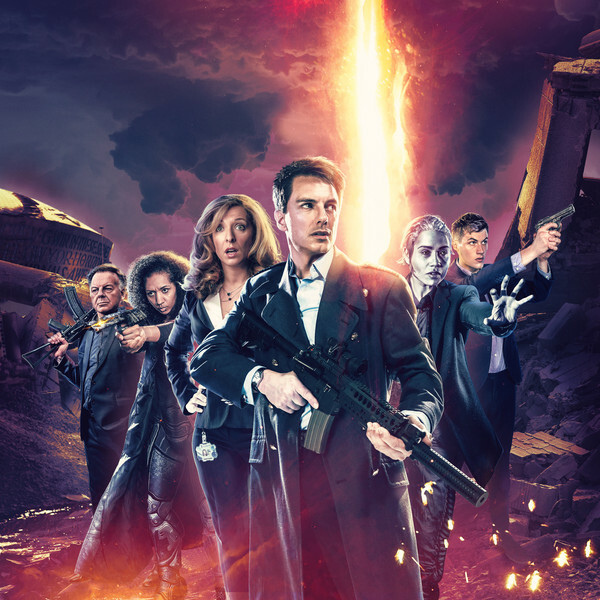 And don’t forget that Torchwood is returning for a sixth series with Torchwood – God Among Us, here at Big Finish! Plus as a special treat, you can pick up series five Torchwood: Aliens Among Us at its pre-order prices until 23:59 on Monday 2nd July. Are you ready for another season of adventures with the new Torchwood team?